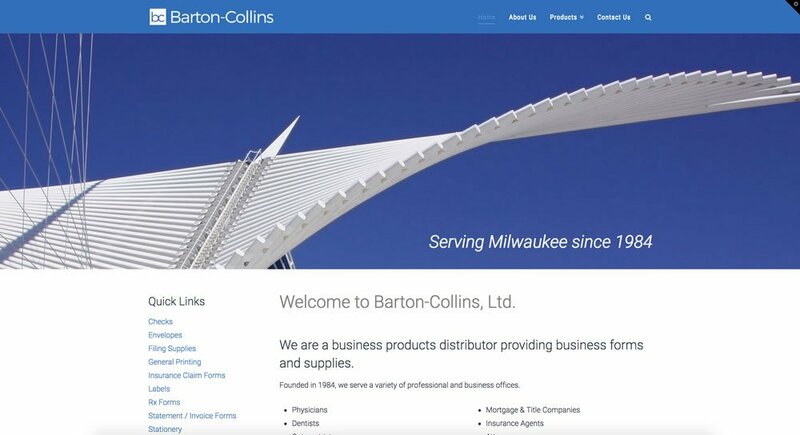 My website redesign for the Milwaukee-based business products supplier Barton-Collins (my dad’s company) launched this week. It’s a fairly simple and straight-forward site, and mostly just needed a cosmetic makeover. The old, dated green background and logo are out, replaced with a clean, blue color scheme (portraying trustworthiness) and improved site navigation. The new image of the Calatrava-designed Milwaukee Art Museum hints at the company’s Milwaukee roots while adding some visual interest. A new logo features a more contemporary font and a simple, timeless mark using the “bc” from Barton-Collins which can be used as a stand-alone icon. We shot new product photos, which ended up being much more difficult than I originally imagined, but I’m glad we used them as opposed to some generic manufacturer photos. There will likely be some tweaks and additions to the site in the coming weeks, but overall we’re happy with the improvements. What do you think? Awesome work! 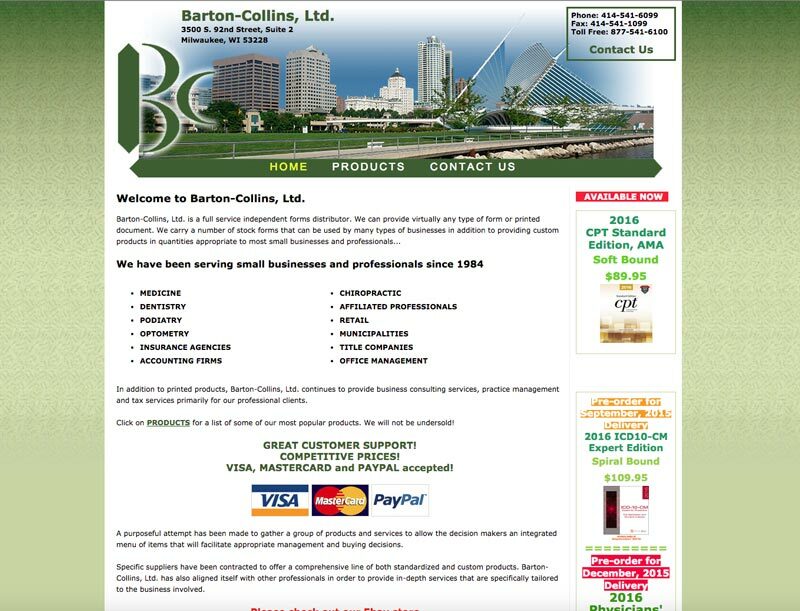 I love the design of the website and how easily customers can contact Barton-Collins.